In the world of computer technology, the majority of us are used to working on one of two main platforms. There are those who strictly use Apple based devices and those who prefer Windows based. While there is no right or wrong choice, there is some confusion when you need to share, open, or edit a document that was created in the platform other than the one you use. So the question becomes, is it possible to work with these document across the different platforms? The simple answer is yes. But let’s take a closer look at some of the ways you can open, edit, and create a Mac Keynote file in a Windows based program such as Microsoft PowerPoint. There is no requirement to purchase an Apple device and signing up includes 5GB of free storage with your account. You will be able to store multiple documents in your iCloud account to access from any location. Now that you have your iCloud account, simply login to have access to your iCloud drive. Look for and select ‘Keynote’. Once you have Keynote open you can create your presentation just like you would with Microsoft PowerPoint. 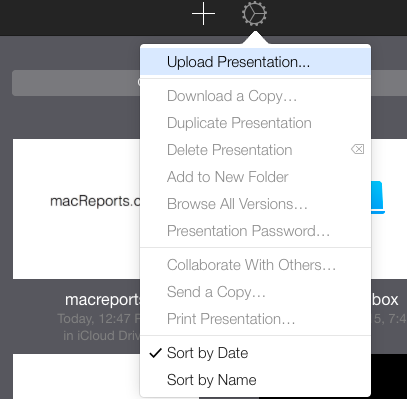 You will also be able to edit an existing Keynote files simply by uploading them to your iCloud account. To upload an existing file, select ‘Settings’ and then ‘Upload Presentations’. 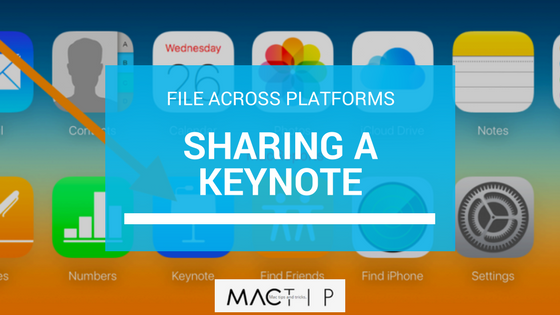 This will allow you to upload any Keynote presentations you may already have on file. Once you have created or uploaded a Keynote presentation in your iCloud account you will be able to view the file inside your web browser. Look for a select the ‘Tools’ icon. After you have made your selection your presentation will begin to download. Once you have completed all of your changes in PowerPoint you may want to send the file out as Keynote presentation. You will simply need to re-upload the file into iWork (see above steps) and convert it back to the correct format. After converting back to a Keynote presentation, go to your Tolls and select ‘Send a Copy’. Another option you have to accessing a Keynote file from a PC is to ask the person who sent or created the file to send it to you as a .PPT or .PPTX file. This is an option for those who, for whatever reason, do not wish to create an Apple ID account. If this is the option you prefer, here are the steps the Mac user will need to follow in order to convert and send your preferred format. Our final method will involve changing the name of the presentation file. If this is the option you want to go with you will only be able to view the presentation. You will not be able to edit the file contents. For this option, here is what you will need to do. Now that you have a few options on accessing, creating, and editing a Keynote document on different computer platforms you can apply this to other file types as well. While not all programs have a cross-platform capability or counterpart, you will find that the most popular ones do. Whatever method works best for you, there are options available with a little time and effort.